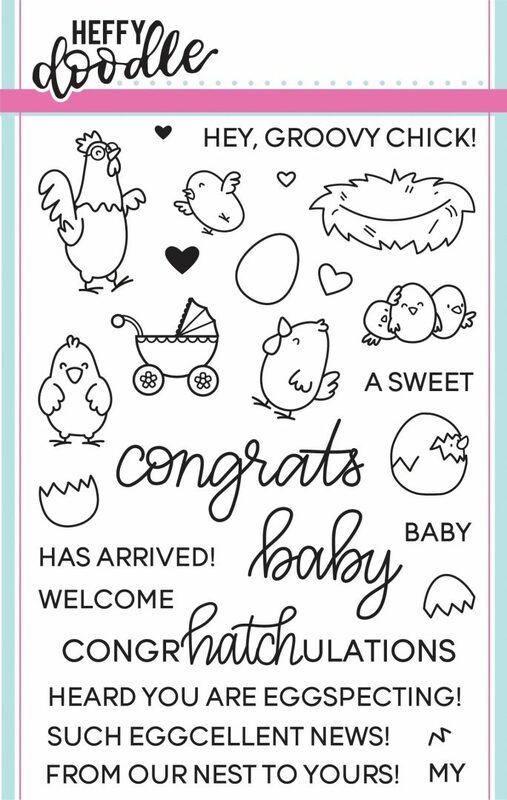 This set has 28 stamps including a rooster image, three chicken images, an egg, two cracked eggs, a chick in an egg image, a group of three chicks and a stroller image. There are also two open heart and two solid heart images, a nest image and a separate crack line stamp image which can be added to the eggs. The set has a total of 12 sentiments including the words 'congrats' and 'baby' in a handwritten style.